Do you wake up excited about the day or dreading it? Often we trudge through life without purpose—just existing. If you are passionate about achieving a goal, then life can become an exhilarating adventure. Excitement about a new direction in life is good for you physically, mentally, and spiritually. Think of all the interesting and knowledgeable people you’ll meet on your journey. Many of them may become friends who will enrich your life. Your quest might lead you to visit beautiful areas you never thought you’d see. Learning new techniques and skills will keep your brain healthy. The accomplishment of your dream will inspire others to pursue theirs. Helping others achieve their goals will provide much satisfaction. The pursuit and accomplishment of your goals will boost your self-esteem. Even during times of discouragement continuing to move forward will strengthen you. Depending on God and others will keep your ego from becoming inflated. Most successful people give credit to others for helping them achieve their objectives. 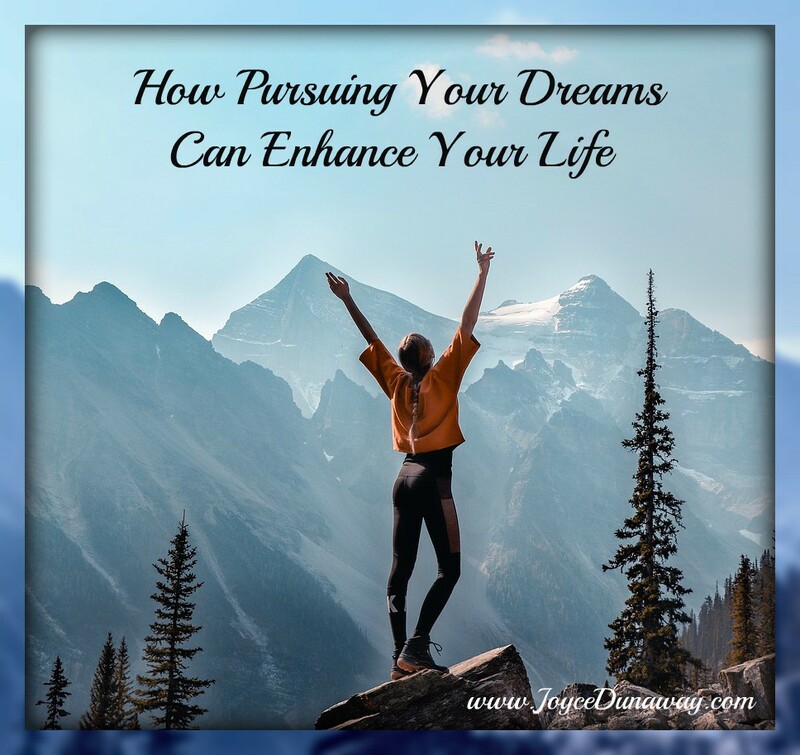 I would love to hear how pursuing your dreams has enhanced your life. Please share your thoughts in the comment section below.